Lewis E. Lehrman’s Churchill, Roosevelt & Company covers the stories of Winston Churchill and Franklin Roosevelt but also pulls their advisers and lower level government officials in to weave the narrative of the Americans and British during World War II. 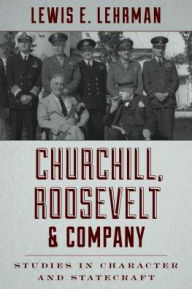 While the Churchill-FDR relationship was unique in its flow and ebb through both men’s leadership of their respective nations, the management of that relationship and the Allied War effort by individuals such as John M. Keynes, Lord Halifax, Anthony Eden, Harry Hopkins, and Generals Marshall and Eisenhower played a more critical, substantive role in ensuring the two countries collaborated in their efforts to defeat the Axis Powers. Lehrman compares the two leaders’ styles in managing and dealing with the Soviet Union during and especially after World War II, and shows how both countries were able to use each other (and each other’s strengths) to their advantage. 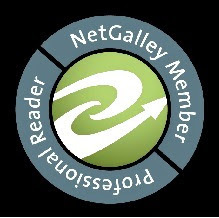 The author skillfully moves between the British and Americans, weaving in tails of espionage and intrigue along the way to add extra spice to the historical narrative. Above all, Churchill, Roosevelt & Company reinforces a most powerful lesson that all of us should remember: Relationships matter. The book shows many examples of how government policy and decision-making was influenced by interpersonal relationships by second and third level diplomats and lower level government advisers. While Churchill and FDR garnered the headlines, the dirty work in the trenches required that personal touch that Churchill and FDR were not always able to maintain during the balance of the war effort.